With Katherine - Milk Pellets - Ugh! We have been privileged to have had some fantastic horses in our lives. 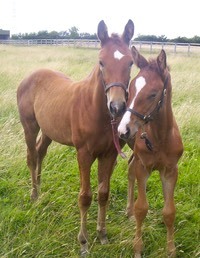 We particularly love mares, and have been breeding horses here at Red House for many years now. We think the world of our horses, but the time has come to give others the opportunity to buy into our breeding program. We feel our horses have the ability to be world beaters in the right hands. All have been bred from the best possible bloodlines, having been vaccinated, microchipped, regularly wormed/ worm counted, handled, and had farrier treatment from birth. Carefully produced with knowledge and patience they have all the potential to be among the best competition horses in the world. All our stock have been bred from tough, sound mares and top class competition stallions, with proven world class bloodlines. 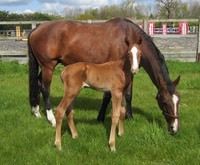 In 2012 we took two foals for grading at British Breeding Futurity, both gained Elite Status. Both ended the series winning their respective foal sections, with On n Up being top youngster over all age groups from foal to 3 year olds inclusive. 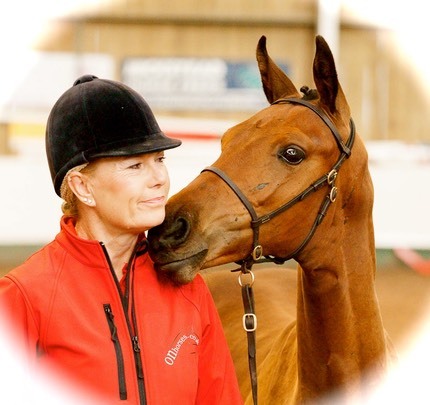 On a Breeze Gained Elite Status at the BEF Futurity at Richmond gaining the highest score for an Event foal, and equal highest score of the day.